These attributes will help business students make it in their industry. In the business world, individuals in leadership positions stand out from the crowd. With an MBA from Villanova, graduates can identify and learn influential skills that will help them make an impression on their peers and within their careers. The qualities and attributes gained through this advanced education will enable business leaders to tackle a number of real-world experiences with poise and authority. Using the skills they’ve picked up, individuals can rise to the top in their field. The following leadership skills are among the most crucial to a person’s success in the business realm. 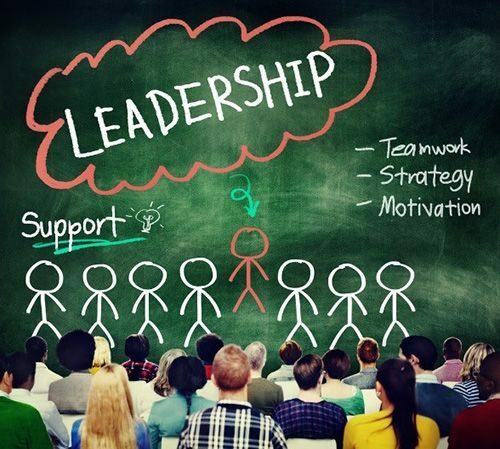 In a study conducted and published by the Harvard Business Review, 38 percent of managers, colleagues and employees cited a person’s capacity to motivate and inspire others as the most important leadership skill executives should display. This talent is one that can be groomed over the course of someone’s career, as he or she moves up within the business world. Leading by example is a smart way to motivate people. Other colleagues may need more verbal or tangible inspiration, like acknowledgement of a job well done, or regular check-ins to ensure projects are successful or that the employee’s overall experience is positive. This ability is an important one for business leaders to possess and demonstrate consistently, so as to promote an efficient and effective workplace as well as positive outcomes. In addition to acquiring an advanced degree, business leaders must develop their listening skills. The capability to hear, absorb and apply the advice and knowledge of others is especially important. Students who place themselves in unfamiliar situations, listening to peers they may not know, may see improvements to this attribute. By stepping out of their comfort zone and listening to new insights, leaders can develop a more engaged sensibility about their field as whole as well as innovative ideas for future tasks and endeavors. Businesses thrive because of the smart and talented individuals they employ. These workers need responsibilities that keep them engaged and happy on the job. Executives can aid in accomplishing this goal by delegating crucial tasks and duties to the intelligent team around them. Trusting that colleagues and peers can handle the work they’ve been given enables business leaders to focus on bigger-picture items. Furthermore, this confidence can result in stronger recruitment and retention rates, as feeling valued can make the company more attractive to employees in the long term. Business has continued to evolve over the years, but the ability to take a small situation and look at the overarching themes and potential outcomes has remained a critical skill leaders must exhibit. One type of experience that can aid in adoption and application of this skill is working internationally. Students who choose to continue their education abroad have the opportunity to see the marketplace on a bigger, real-world scale. While individuals gain a number of advantages from this experience, so do companies that hire these workers. Appreciation of a different culture, respect for uncommon policies and procedures, and the ability to communicate with people from unfamiliar walks of life can help MBA students succeed. An MBA from Villanova provides students with the business knowledge, real-world training and leadership skills they need to thrive in their careers.